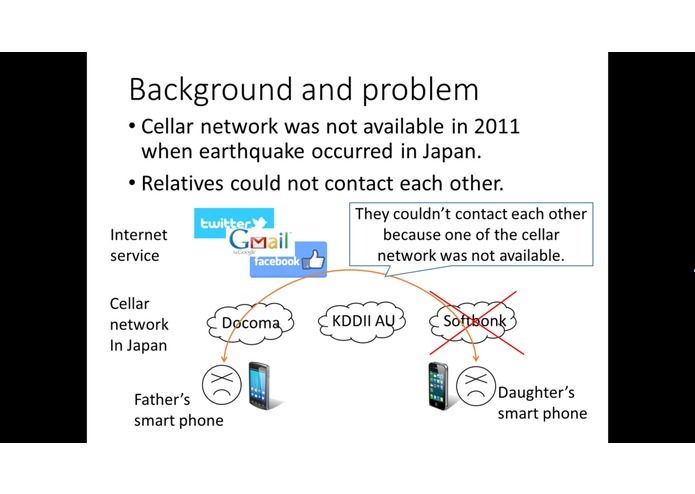 In 2011, Japanese cell phone network was not available after the disaster. But my relatives wanted to know if I was in a safe area. In the safe area, city officers manually wrote survivor's name on a bulletin board to confirm the relative's name. At that time, Google released a new service called "Person Finder" to publish images on the bulletin board and made those name searchable. It was very useful. However, it took a long time to confirm and write the names down. My application can be used on a tablet or mobile phone that search for other devices in the safe area. Detailedly, it searches the device ID of the phone's Bluetooth. 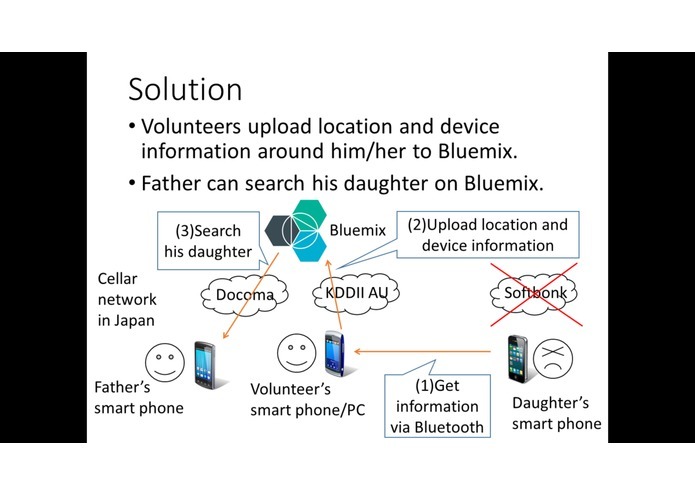 After that, this application will publish these data with GPS location to the database on Bluemix. 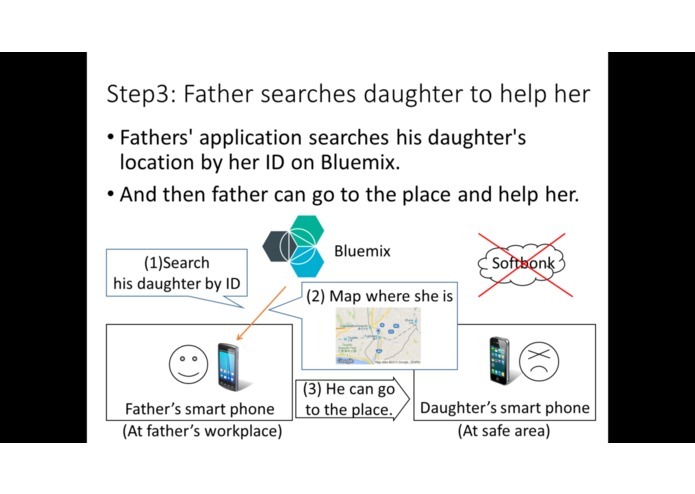 On the other hand, web service on Bluemix makes the data (the ID and location) searchable by device IDs. 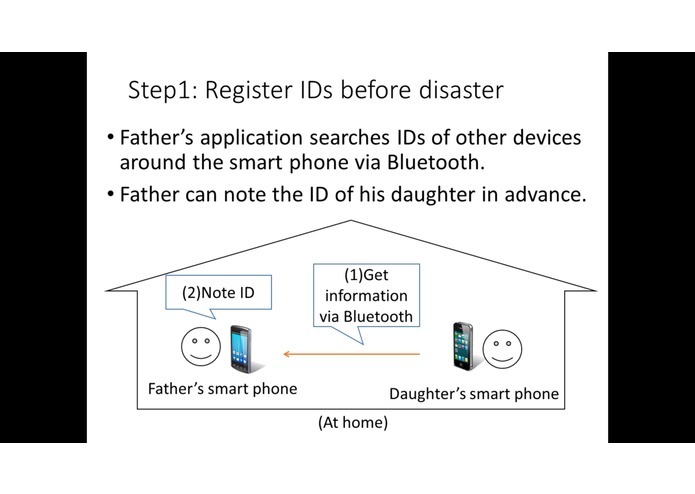 Therefore, relatives exchange device information with each other. After the disaster, they can share the locations through this application. 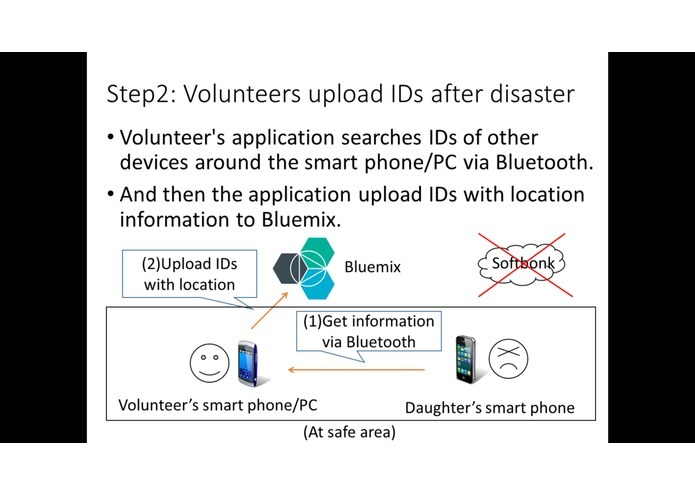 Of course, cell phone network will not be required to search the device ID via Bluetooth. As long as the device is in the safe area, it can connect to the Internet by a private network, then, my service can share these information. I developed entire application using Node-RED and dashDB.